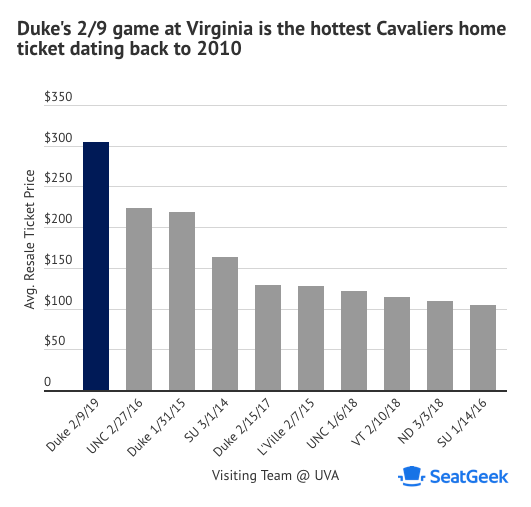 SeatGeek is saying Saturday’s game between #2 Duke and #3 UVA is the hottest home hoops ticket at JPJ since it began tracking the secondary market in 2010. As of this writing, the average resale price is at $304 a ticket. The average resale price for a UVA home ticket this season is $106. That makes this game a 187 percent increase in demand.